School lunches have evolved since 2010 with the Healthy Hungry Free Kids Act, which aligned menus with dietary guidelines. (Thinkstock). Privatization of the D.C. Public Schools lunch program failed to deliver required cost savings — or more nutritious meals for children. Auditors are now recommending the program be brought back in-house. 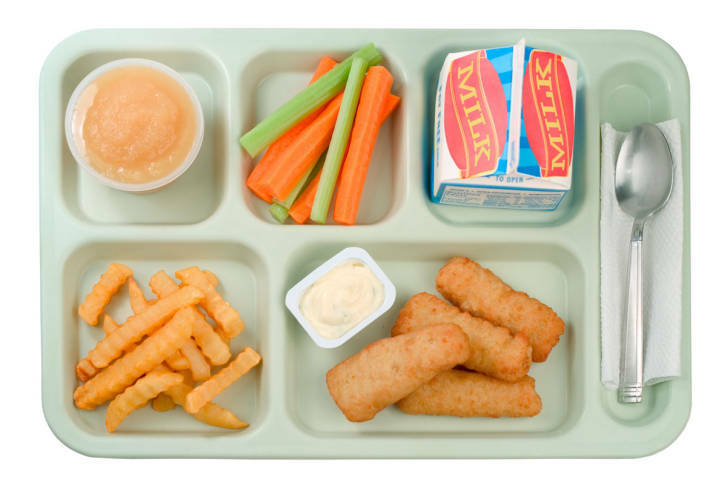 WASHINGTON — Privatization of the D.C. Public Schools lunch program failed to deliver required cost savings — or more nutritious meals for children, according to an audit of the program released Friday. D.C. law requires overall savings of at least five percent when a government service is contracted out. And that’s not the only undelivered promise since the 2008 transition, D.C. Auditor Kathy Patterson told WTOP. “Some of the other benefits of privatization that were touted back in 2008 — that we would have better meals, served to more children, better nutrition and so on — we really haven’t seen that either,” Patterson said. In the audit, Patterson recommended responsibility of food services be returned to the school system. “I’ve been asking them for years to bring it back,” said D.C. council member Mary Cheh who expressed frustration with both the report’s findings and the system’s abdication of the food service program. “It’s a failure of their responsibility, it’s a failure of their management effectiveness (and) it’s a failure of their commitment to our kids,” Cheh said. Among the reasons cited were a projected cost of $1 million dollars for new staff and the intricacies of negotiating new contracts for suppliers of produce, groceries, paper goods, cleaning products and other needs. The school system now is in the first year of new multiyear food service contracts that Watson assured would deliver better nutrition, food quality and customer service. She also promised diligent oversight of contracts to improve the food services program and control costs.